When she was of school age and until a young lady attended school at West Bend about two and half miles from her home accompanied by her brothers and sisters, sometimes there would be only three months public school, then again a full nine months school. Always a different teacher each school, and of course it was bad for the children to have to change teachers so often it kept them from advancing as they properly should. 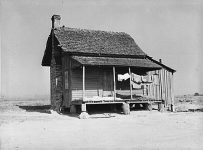 She was the daughter of a country doctor, who had a hard life going all over the rural parts of the county to practice his profession, with at that time no good roads, any time day or night as his services was needed. Her father owned a pretty level farm about 40 acres, which always was cultivated, he had a wage hand to work his garden and to cultivate the patches around the home but the most of this farm was rented to a tenant on shares. 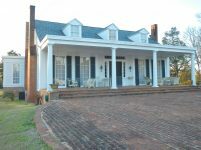 The home was an old time frame house with long front porch, four rooms, a hall down the center and an extra addition with a dining room, pantry and kitchen with front porch. The house was plain but comfortable and nicely furnished with many pieces of antique furniture. In this home, her mother had everything kept in place and the home was always neat. They had a fine peach orchard which the children enjoyed, always was canned and made into preserves in large quantities for winter use. Daisy’s father having a large family to support and educate (sic) had to try to make something besides what he could make at his profession to help to bear the expeses (sic) expenses which were heavy. Her parents both had college education, naturally that made them more anxious that the children should have good educational advantages. Daisy was one of the younger children and after improving every opportunity that she could get at West Bend, was not satisfied but wanted to go on to school so she make arrangement where she could go to Livingstone (sic) Livingston to Normal School, so as to be properly trained for a teacher as she was planning on that for her work. She first after coming home form school accepted a position as governess over on the Alabama River, in Dr. Ed King’s home, here she taught three children, one girl and two boys, after this she taught a school at Woods Bluff, Alabama, boarding with a Mrs Wilson. 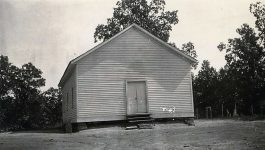 After teaching and being governess she accepted a position with Mr George Nichols, Nicholsville, Alabama, where she worked in a general store and assisted in in the post office for some time. After working several years at different jobs and between times during her vacations made several trips, making visits at different places where she met young people and made numbers of friends. She always whereever (sic) she worked make friends and seemed to get a lot of pleasure out of life,[?? ]having a cheerful disposition. Being the youngest girl in the family had very few responsibilities, could come and go whenever she like, could use what money she made for her own pleasure, spending it anyway that she liked. She was a perfect brunette, tall, slender, with brown eyes, black curly hair, dark complexion, weight about 135 pound. 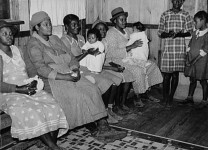 She would at times have her friends come to visit her and entertain them in her home. Daisy, when a girl, never had very much experience in home cares and did not try to learn to sew or anything like that for she thought when the time came she would then learn all those many duties that has to be performed in every home. When she was about twenty-eight years old she was married to John P. Armistead, who was born at Morvin, Clarke County, Alabama, September 18th, 1861, he was a small man, with black hair, dark eyes and dark complexion, he was a widower with five children, three boys, Eddie, John and Roy, two girls, Mamie and Annie Earle. John Armistead owned a nice home at West Bend, Alabama, this home was a frame house with seven rooms, a long front porch, dining room, kitchen, a closed hall, back porch, pantry and several closets. The house is painted white with green blinds, there were beautiful Oak shade trees, making the large level yard so cool and shady. 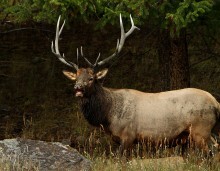 Out in front of the home was a level lawn with a grove of large Oaks adding very much to the beauty of the place. The land all around the home was pretty and level all of it in cultivation. This is where Daisy went as a bride to make her home, she at once won the love and respect of John’s children, and was a real mother to them taking care and training them as a mother would. As the years passed children were born into the home until Daisy was the mother of six children. There were four girls, Lucile, Marguerite, Ruth and Nell, two boys Sidney and Robert, the later died when about three years of age. Daisy and John lived in this home where they were happy and contented. John having a large plantation on the Tumbigbee? 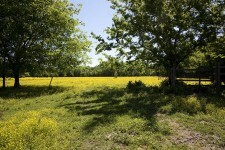 [Tombigbee] River as well as the farm around the house. He not only had his own crop but had tenants on the plantation who were share cropers (sic) that he advanced to each year. He and his boys worked on the farm, he teaching them and going with them all the time, also he kept two wage hands the entire year. He owned fine mules and wagon which was used on the farm daily, hauling all the crop, wood for home consumption and anything that was needed on the farm. John owned two cotton gins, one on the river plantation and the other out in the hills near his house, he ginned the cotton for the whole community, at the gins he bought cotton and quantities of cotton seed and by being careful and keeping up with the market usually made a profit on both, he contracted his seed with the oil mills at so much a ton delivered to a steamboat on river bank and in this way was safe in buying them. His wage hands helped at the gin and did anything that was to be done besides working on the farm. John was very successful and a good business man, with fine judgement (sic) and made money in whatever he undertook. On the farm he raised cotton, corn, peas, ribbon cane, hay, ground peas, and potatoes. He owned cows so as to have milk and butter for home use, raised poultry and hogs, making their own meat and lard, also enough for all his hands. Daisy always made quantities of sausage meat for home use. 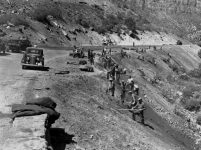 During those years on the farm while Daisy’s children were small, she had many cares, she always when they were working on the river, prepared and packed lunch each day for not only her husband and the boys but also for the two wage hands. They had a cane mill at a large spring right near the house, here they made the syrup for family use and for all his hands and the ones he advanced to also. After gathering the crop, completing the ginning, sacking and hauling the seed and cotton to the river, before starting the plows for the next crop, the fences were gone around and repaired where it was needed, the fields cleaned off, all fence corners cleared out and maybe a piece of new ground cleared. John sent the older children away to boarding school and after they had finished High School sent them to college, giving them the very best advantages. Eddie his oldest son married when jus (sic) a boy but succeeded by farming and working in timber business in making a comfortable living for his family, this son about two years ago died after a short illness in a hospital, had a mastoid operation and died under the operation, he left an interesting family, who are getting along nicely, the boys are all working and all the children are grown but the youngest child. Mamie the oldest girl after completing here course at the Normal College at Livingstone, taught for a while, then married a nice young man Walter Willis, Epps, Alabama, she was married at West Bend church, after taking a bridal trip they returned to that place where Walter owned a home, she is contented and happy in her comfortable home, she has two fine boys both of them now almost grown. The two boys John and Roy are both married and live in Chicago with their families, are succeeding and getting along very nicely. Annie Earle the other daughter after finishing at Montevallo taught for several years, then met a fine young man, Tim Carleton, Montgomery, Alabama, who was also a teacher, now both of them are teaching, but are not in the same school, they own a nice home in Montgomery, are getting along just fine and seem to be very happy and contented, they are each of them attending school each summer working for a degree. John and Daisy sold their home and all of their property at West Bend and came to Grove Hill and purchased them a home in order for Daisy’s children to be able to stay in the home and yet have school advantages. John having always lead such an active life wanted something to do after moving here, so he went into the mercantile business, but did not succeed as he wanted to, so did not keep this business for very long for he found out it was not making him any profit, and that instead was causing him to loose money, so he sold out as quickly as he could find a buyer. Lucile and Sidney both completed High School in Grove Hill. Lucile was a very bright intelligent girl, very quiet and studious making the best of her opportunities, finished with highest honors, and at the same time took a competitive examination and gained $1000.00 scholarship at Breneau College in Georgia, her parents decided to let her take advantage of it so this is where she completed her education. After teaching a few years, she married Gray Smith, Chilton, Alabama, they built them a neat comfortable little home out in that community. Sidney when just a mere boy fell in love with and married Clarice Carter, Grove Hill, Alabama, they lived here for several years, Sidney working in the bank then they moved to Butler, Alabama, where they lived for several years Sidney working for the state, now he has recently moved on Oneonta where he is cashier in the bank they have an interesting family, two girls and a boy, they had another boy but had the misfortune of loosing him by being drowned accidently (sic) while visiting his Aunt at Epps in a creek near the home at the age of five years, it was such a shock that it was hard for all of them. Marguerite after finishing High School, went to Livingstone (sic) to school taking a Normal course, after getting her certificate she taught three years and during this time met Bennie Singleton, Putnam, Alabama, a fine boy with whom she fell in love with, after a short courtship, they went to Meridiaa, Mississippi, and were married, she seems satisfied and happy in her new surroundings, they live at Putnam, Alabama, with his mother. Ruth after completing High School in Grove Hill, went to Montevallo took a two years secretarial course, came home worked a few months at the High School, then accepted a position in New Orleans, Louisiana, where she is now working. Nell the youngest child is in her last year at High School, is now a pretty, attractive young lady. John and Daisy have a nice home now, a frame house with two stories a long front porch, four rooms, a long hall, kitchen and back porch, the bath-room is in the back end of hall. The second story has three rooms, hall and front porch. The house has two stack chimneys making it very comfortable in winter, it is painted white. The first room to the left after entering the front hall is the living room, in it they have a regular set consisting of a settee, library table, three chairs made of reed and upholstered with floral croton, (sic) an upright piana, (sic) a small table and several other comfortable chairs, on the mantle piece is Ruth’s picture in the center, tall straight old time vases on the ends, on piana (sic) is pictures of the girls one on each end. On the library table she has a basket for flowers in the center, books at each end, on settee several very pretty pillows, there are several rugs thrown about on the floor. The house is lighted with electricity, has a light fixture in center of the living room with five bulbs, several pictures hanging on the wall, the small table contains various small ornaments. The room to the rear of the living room is John’s and Daisy’s room, you can enter either through the living room or from the hall, on center of mantle piece is an antique clock, and this is where all John’s medicine is kept, just a regular jumble of it, so many different kinds, and any important letter that requires an answer is put here for safe keeping, by the mantle piece hangs a caendar (sic) calendar and an almanac, the room has a dresser in it with Daisy’s mothers and her brothers picture on it on at each end, a table with radio on it, bed, washstand and near the door an antique desk in which are filed all of John’s important papers, hanging on the wall is John’s, his wife and Nell’s pictures, has a rug on the floor, tan shades and white curtains at windows. The room across the hall from the living room is a bedroom this [?] room has a bed, dresser, washstand, and several comfortable chairs in it, also tan shades with white curtains., to the rear of this room and opening into it is the dining room, has dining table in center of room, side table in one corner, ice box and side board and the chairs, it also has white curtains. just to thex (sic) rear of this room is kitchen which opens into the dining room and also opens on back porch, there is a range stove a safe, table in one corner and then a long table almost the entire length of the room with a shelf above it, they are having hot water tank attached to range and installing a sink, are having the bath-room fitted with tub, commode, and lavatory, will also have hot and cold water in bathroom. The upstairs rooms are all three bathrooms neatly furnished the entire house is convenient and comfortable. John has been an invalid for more than two years, never able to get out anywhere and very seldom able to even go to the table for his meals. Daisy and all the his children are devoted to him, waiting on him and doing everything that can possibly be done for his comfort. He is kept on a strict diet, can have no meats but chicken or fish, he has heart trouble and high blood pressure. During the depression in 1933, when so many banks failed, John lost his money in two of these banks and worrying over his losses has made him give down much earlier. Since John’s health failed Lucile and her husband Gray closed up their little home and came to live with them. Gray has work in Grove Hill and it makes it so much more convenient for him as well as being company and help for Daisy. The doctor, nurses and drug bills have been very heavy for the last two years. It is hard for Daisy as she has all the responsibilities to bear alone and all the business to attend to she cannot even consult John about anything. She tries to be brave and keep anyone from knowing how much she worries, she has a sad smile and patient sweet expression [??] on her face most of the time. All the children even the married ones that are away from home, do all they possibly can to help her and lessen her cares. If she did not have Lucile and Gray with her it would indeed be hard for she and Nell are the only ones left in the home and Nell is away at school all day which would leave Daisy alone with John and all the home duties to attend to. Daisy taught all the girls to keep house and how to sew, she is a good manager, keeps her home neat and clean, she is naturally slow in doing her work but when she finishes it is well done. Daisy raises quite a number of chickens, has nice fresh yard eggs [?] if the time. She has flowers in the front yard, which makes the place look more attractive, she takes an interest in cultivating and keeping them watered. They always have a nice garden and plenty of vegetables canning any extra that they have for winter use, also they put up preserves, pickle, and jellies for home consumption. John seems to be better since cool weather is here but now thinks he would like to go back to the old home where they spent so many peaceful years. Sidney and Ruth both came home during the holidays for a short time, John enjoyed their little visit. Daisy is so proud of her grandchildren and does not like for them to be so far away but trys (sic) to make the best of it knowing it is best for Sidney to stay where he is. Sidney’s oldest daughter is now getting to be a big girl is attractive and can be lots of help and pleasure to her mother, the smaller girl now about three years old is a beautiful child with a sweet, happy disposition, such a pleasure to them all. 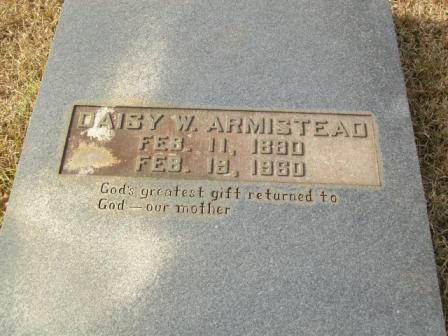 *Note: Daisy Purnell (Webb) Armistead was born Feb. 11, 1880. She was the 2nd wife of John Prisnall Armistead. She died Feb. 19, 1960. 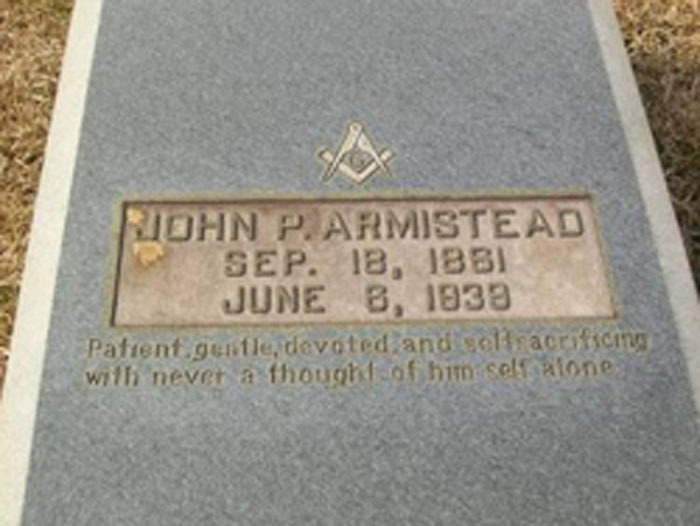 John Prisnall Armistead was born September 18, 1861, son of Bryant Borroughs and Sarah Prisnall. He died June 6, 1939. 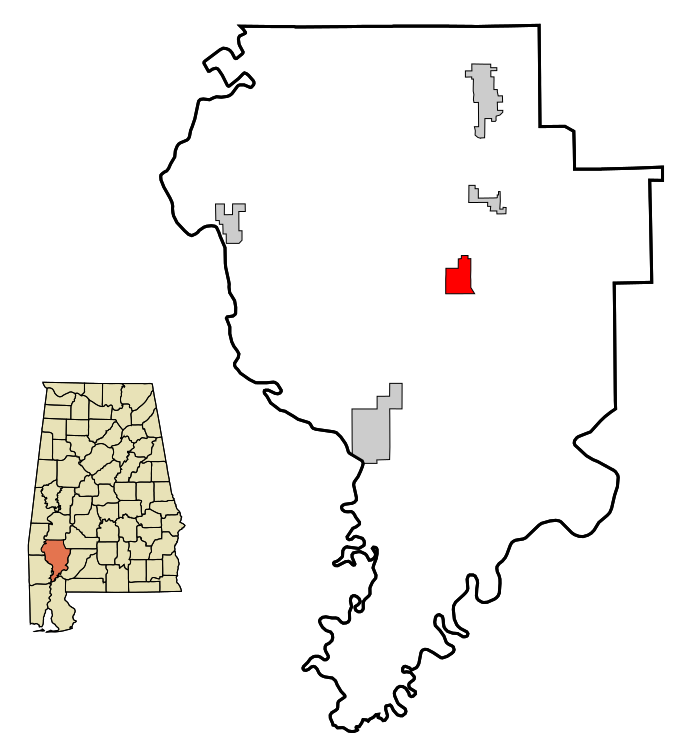 Both are buried at West Bend Cemetery, Clarke County, Alabama. He was the grandson of Westwood Armistead and gr-grandson of William Armistead, Revolutionary War Soldier. Are you a family historian? Do you have friends and family ask you how to get started in family research? This is a hard question to answer in a few minutes. Refer them to the book below to help them get started in this fun hobby. Purchase several – Books make great gifts! 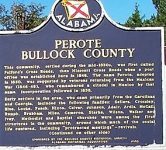 Patron+ Good Ole Days – Teaching in Alabama in 1870s was quite an experience! I love learning all this Alabama history. 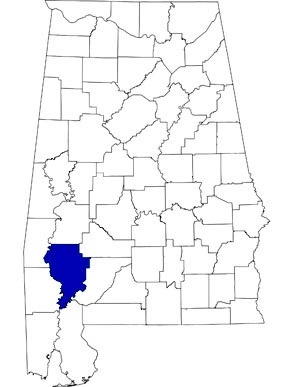 I like the history of Alabama. My grandmother graduated from an institution with apparently two names, according to her diploma that I have framed and displayed on a wall in my home. 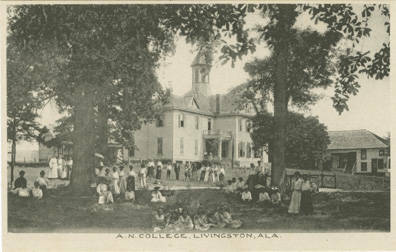 The two institutions were the Alabama Normal School for Girls and Livingston Female Academy. 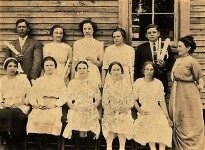 Miss Julia Tutwiler was the headmistress, and my grandmother had great respect for her. 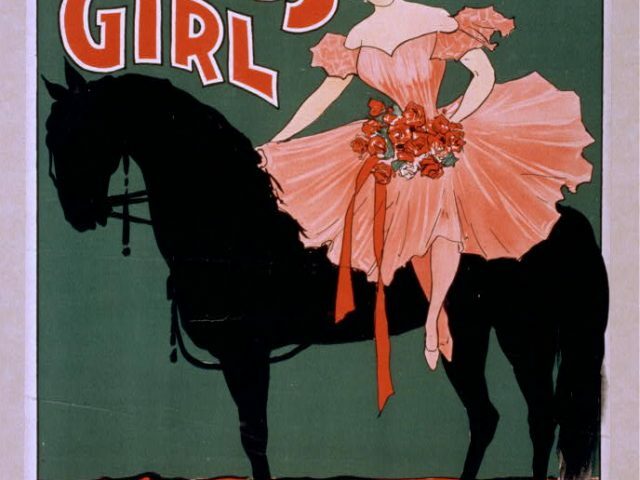 Her graduation year was 1897. She taught school for over 40 years, retiring from the Bessemer School System. Her last school was Vance Elementary, where she taught so long that she taught the children of former pupils. It was really forward of them to provide opportunity for the girls to work . Many the countries are not providing such opportunities even in this century.